You wouldn’t add soaps, detergents, phosphates or other harsh chemicals to our air, lakes, streams or forests; so why add them to your carpets? 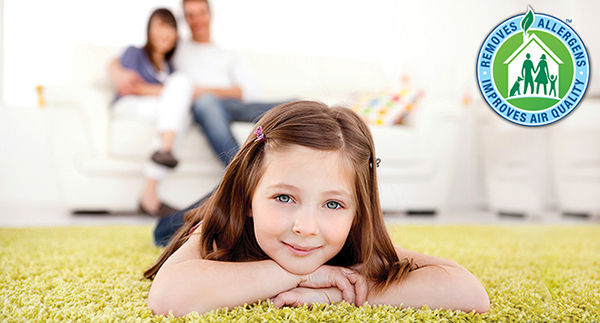 At Surfside Chem-Dry, we believe in sustainability and have worked toward offering a Green solution to carpet cleaning for the past two decades. Our cleaning process is designed to give carpets a deeper, longer-lasting, healthier clean without the use of harsh chemicals or detergents. Using the natural cleaning properties of carbonation, Chem-Dry is able to lift the dirt from deep in your carpets to the surface where it can be whisked away. This results in both a deeper clean and increased carpet life. Our process uses 80% less water than typical steam cleaning. This allows your carpets to dry in 1-2 hours instead of 1-2 days. This also lowers the risk of mold and mildew growth that can result from the excessive amount of water used by most steam cleaners. Trust Surfside Chem-Dry to help you maintain a healthy home. We service the Ventura County. The cities that we service include Ventura, Oxnard, Camarillo, Thousands Oaks, Simi Valley, Moorpark, Santa Paula, Ojai and more. Don’t see you city in the list. Call us today to see if we service your area. Chem-Dry’s flagship cleaning solution, The Natural®, is on the FDA’s G.R.A.S. list; however, our dedication to Green doesn’t stop there. We use one-fifth the amount of water during our cleaning process, ensuring a healthier, Greener home. Compare this to steam cleaners which require excessive amounts of water and harsh chemicals. Non-toxic means Chem-Dry is safe for kids and pets and makes Chem-Dry the perfect (often, the only) solution for many people with allergies. We live here too and our mission is to help create healthier homes for a better world. We guarantee our cleaning service! 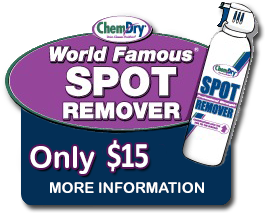 If there is a spot we missed or if an old spot happens to come back, call us back. We offer a 15-Day Guarantee. Call us back within 15-Days of the original service date and we will re-service you free of charge. We want all of our customers to be satisfied with the work that we offer.